A science fair is an opportunity for students to apply the scientific method or conduct independent research. 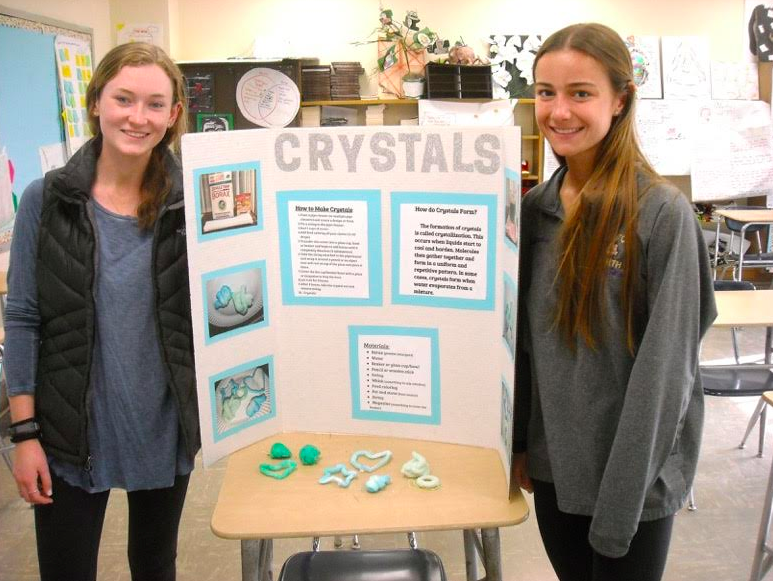 The result of each student’s research is presented at a school-wide science fair, where the students’ efforts are displayed and where students are interviewed. STEM stands for ‘Science, Technology, Engineering and Mathematics.’ The idea behind STEM is to make the United States more competitive in technology development by bringing up generations of students who can excel in high-tech jobs. The display unit or backboard is critical to the presentation. It is what people see first, and establishes the proficiency of the student’s efforts. It must be well-constructed and designed for maximum visual effect. It stands on a table behind other exhibit materials. 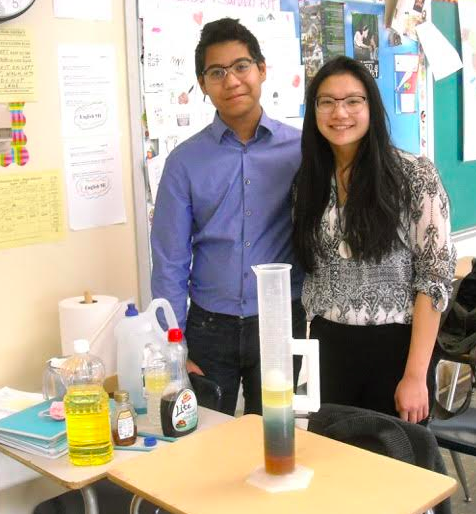 These materials reflect the items used throughout the student’s investigations and should tell a story or illustrate a concept adequately, so that the student-scientist does not have to be present to explain the entire project to an observer. The written report is a compilation of everything the student did to investigate the topic that was selected. It contains all the information the student collected or learned during the weeks leading up to the actual science fair. Whether the student decides to do an experiment, assemble a collection of objects, demonstrate a science principle or show an interesting piece of scientific apparatus, the observations and information need to be recorded in written form. 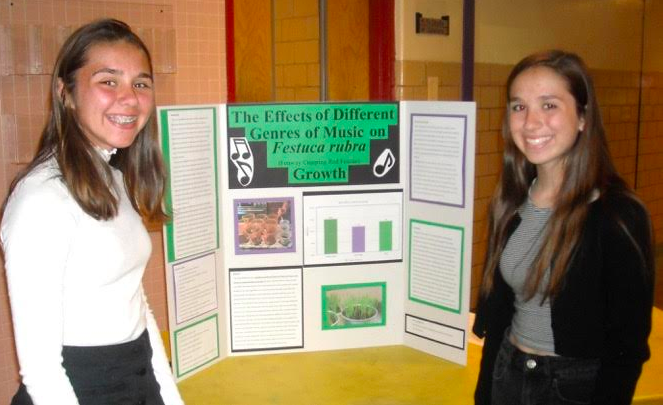 There were many well-researched science fair projects at the 2019 Clarkstown High School North Science Fair. A crystal is an organized grouping of atoms or molecules. Each crystal has different properties and shapes. Making a saturated solution requires heating and mixing until no more salt can be dissolved in the water. Crystals will form on a string suspended in a saturated solution. As the solution cools, crystallization begins on the rough surface of the string. Crystals continue to form as the cooling solution places more dissolved salt onto the growing crystal mass. Density is a measure of mass per unit volume. The average density of an object equals its total mass divided by its total volume. An object made from a dense material, such as iron, will have less volume than an object of equal mass made from a less dense substance, such as water. Density is important because it affects whether objects will float or sink. It is an important property to consider when building ships or hot air balloons. Noise pollution or sound pollution refers to the presence of excessive and disturbing noise from transportation systems, aircrafts and trains in the environment that is very harmful to the physical and mental health of living beings on earth. Prolonged high levels of noise can cause hearing loss and stress-related illnesses.